Extremist Jewish-Israeli settlers attacked Palestinian vehicles in the West Bank over the past night. Local Al Ray sources reported that a group of Israeli settlers threw stones towards Palestinian vehicles on the Wadi al-Delb road, near the village of Ras Karkar, in the Ramallah district, causing damage to some of them, without causing injuries. Palestinian vehicles near the Jewish settlement of Beit El, located on the land east of the city of Ramallah (north of Jerusalem), were also stoned by settlers, damaging a number of vehicles. Settlers also carried out attacks against Palestinians and their vehicles in the southern city of Hebron, and shouted insults. 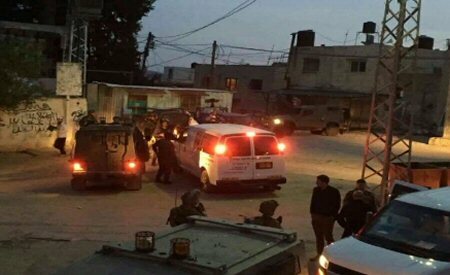 Israeli sources claimed that a Palestinian from Hebron carried out a stabbing attack, killing an Israeli women. Last night, settlers attacked Palestinian houses in the Tel Rumeida neighborhood in the center of Hebron, throwing stones and gathering on Shuhada Street, which has been closed for years. Dozens of settlers from the Kiryat Arba settlement and the settlement outposts in the city of Hebron gathered last night in the al-Sahla area, to the south of Hebron, and shouted in the loudspeakers, calling for the killing of Palestinians and carrying out retaliation against them. In Bethlehem , settlers threw stones at Palestinian vehicles in the Gush Etzion settlement bloc, south of the city.